Did you know Cowboy Harley-Davidson® has three stores? That's right; we sure do! 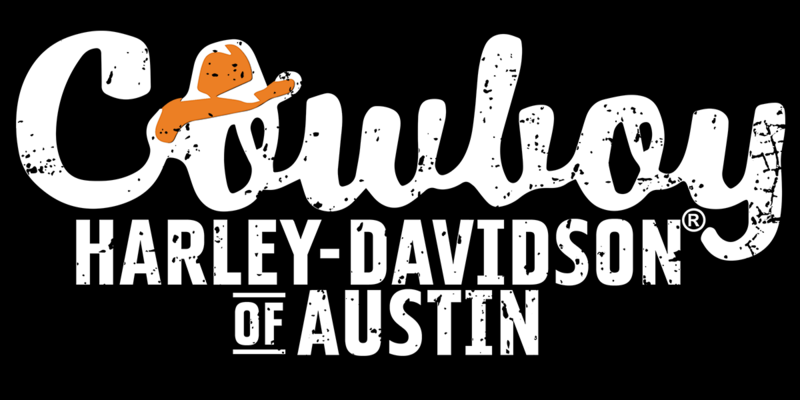 With locations in Austin, Beaumont, and San Antonio, when you shop at any of our three stores, and leave us your email address, your Cowboy Harley-Davidson Loyalty Points may be redeemed as a method of payment at any of our three stores! Points accrue in different ways, depending which department you are making a transaction with. For setting up your points account, you get 100 points as a little Cowboy Harley-Davidson® "Thank You!" Then, when you buy a bike, 5% of the bike cost goes into your points account! In Motorclothes® and Parts departments, you receive one Loyalty Point for each dollar you spend on items (so long as the item is not discounted 30% or more from original list price), and will receive your Cowboy Harley-Davidson® Loyalty Points in your account 30 days after your transaction for those items, just in case you have to return any of your items. When you get your motorcycle serviced at a Cowboy Harley-Davidson® Service department, you receive one point for each dollar you spend, available in your Cowboy Harley-Davidson® account on the day the transaction is made! Local Cowboy Harley-Davidson® H.O.G.® members receive double points for any transactions, and employees do not receive Loyalty Points! 20 Cowboy Harley-Davidson® Loyalty Points are equivalent in value to $1; therefore 200 Cowboy Harley-Davidson® Loyalty Points are worth $10, 400 Cowboy Harley-Davidson® Loyalty Points are equivalent to $20, and so on and so forth. *Cowboy Harley-Davidson® Loyalty Points are only valid and honored in Cowboy Harley-Davidson® stores, as a form of payment. Cowboy Harley-Davidson® Loyalty Points cannot be reimbursed when a return is made, or exchanged for a Gift Card, cash, or other form of payment; Cowboy Harley-Davidson® Loyalty Points can only be used as a form of payment for goods or services from Cowboy Harley-Davidson® stores. Unused Cowboy Harley-Davidson® Loyalty Points are forfeited annually on the last day of January each calendar year, and begin accruing in your Cowboy Harley-Davidson® customer account again on the first day of February each calendar year from a beginning balance of 0 Cowboy Harley-Davidson® Loyalty Points. Have questions? Give us a call, and talk with one of our friendly Customer Service representatives, who will be able to answer any questions you may have about our Cowboy Harley-Davidson® Loyalty Points account!